Only three vehicles, myself, Anara and new member Wayne Pyke from Timaru. Some snow at the southern end, starting about 1km from the ski hut, at the highest point we were driving in lightly falling snow. There was about 30-40mm of snow on the ground at the top, tapering right off the further we got into the trip. We all had chains, but they weren’t used. As anyone who has been on this trip knows, there isn’t a lot of actual 4wding to be done – it’s more about taking in the actual scenery, and we weren’t disappointed. 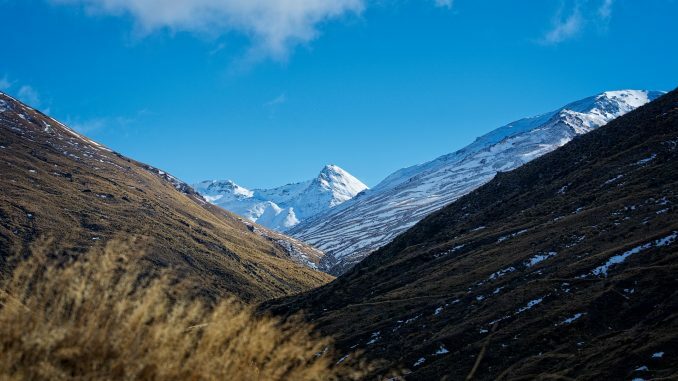 With fresh snow on the surrounding hills and a clearing sky the Nevis Valley was a picture. With both Anara and I being keen photographers, there were many stops for just one more photo. Continuing with tradition, we stopped at the Bannockburn pub for a welcome refresher and debrief. All agreed it had been a great day, and a lot of fun. Summer is here believe it or not, with longer hours of daylight. Makes for even longer fun days of 4wding! Keep checking the club calendar as new trips are being planned for the summer months and will be put up once they are confirmed. Don’t forget if you have any trip ideas, get in touch!